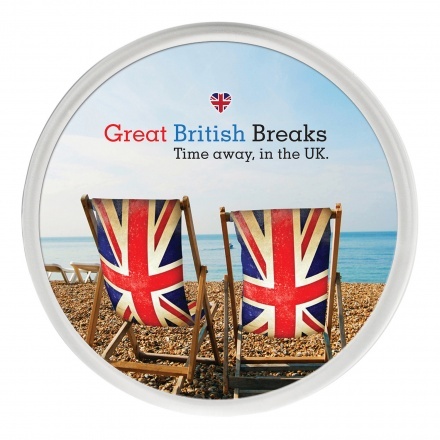 This high quality coaster contain a printed paper insert to display your full colour message. It offer a great way to get your brand seen on desktops and in the home. With our clear coaster, you can print to both sides of the insert at no extra cost. Example price for a product with full colour digitally printed insert.